Can you sell your house and retain a prior mortgage? The answer to this question depends largely on the factors of the situation as well as your financial background. There is a wide variety of situations when it may be necessary or appropriate to have more than one mortgage loan at one time. Homeowners who choose to provide financing to a buyer on their own may find themselves in a situation where they retain their prior mortgage while allowing the buyer to enter into a "lease to own" agreement. The home remains the property of the original owner, but the buyer moves in and makes monthly payments. Unlike a general rental agreement, a portion of the monthly payments the buyer makes go toward the purchase of the home. The goal is for the buyer to eventually take full ownership of the home. An alternative agreement might be to allow the buyer to assume the home loan, which means that the terms of the loan do not change, but the ownership does change hands. Not all mortgage loans are assumable; check the terms of your original mortgage agreement to find out if this is an option. Things can get complicated when a homeowner tries to sell a home that costs more than it is worth. It is possible that homeowners may wind up with residual mortgage debt after the sale of a home, but not in the form of a mortgage secured by a home. For example, suppose a homeowner owes $10,000 more than the proceeds that will be earned by the sale of the home. The homeowner may be able to obtain a personal loan for the $10,000 deficit, although there is an excellent chance that the signature loan will be at a higher interest rate than the mortgage was. While the signature loan is not a mortgage loan, it is one way to retain debt from a previous mortgage despite no longer owning the home. This may also be the solution for a seller who has an equity loan that will not be paid off with the proceeds from the sale of the house. Homeowners can avoid this situation by proposing a short sale to the lender, which allows the homeowner to sell the home for less than the total amount owed as long as a buyer is willing to pay the price agreed upon by the seller and lender. 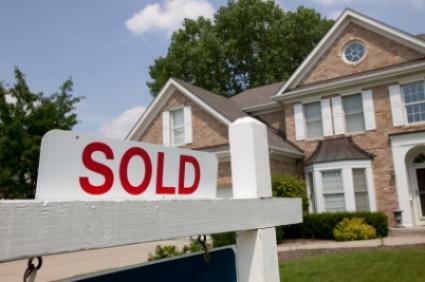 Short sales are not always approved, but can save a seller quite a bit of money and hassle if an approval is granted. Can you sell your house and retain a prior mortgage from another property? There is no reason why ownership in another property should stop a homeowner from being able to sell a different property. Many people, particularly those who own investment properties, have more than one mortgage because they own several properties. The ownership of one property should not have any effect on the sale of another. The exception to this is if the home the owner is trying to sell is also listed under the name of another person who refuses to authorize the sale, although this is not necessarily connected to whether other mortgages exist directly. Homeowners cannot sell their homes outright and still retain the mortgage for that home. The proceeds from the sale of the home are supposed to pay off the prior mortgage and, furthermore, sellers should not want to retain financial obligation for a home they no longer own. Special circumstances can make it possible to retain mortgage debt in another form after selling the home, but in most instances, this is not the case.